So my post is a little different today, I thought I would share with you one of my birthday gifts from a few months back. I'm a big fan of gel nails, I used to pay to get them done all the time as I am blessed with weak crappy nails that always break. Gel nails are my life saver and enable me to have luscious long strong nails, hallelujah! 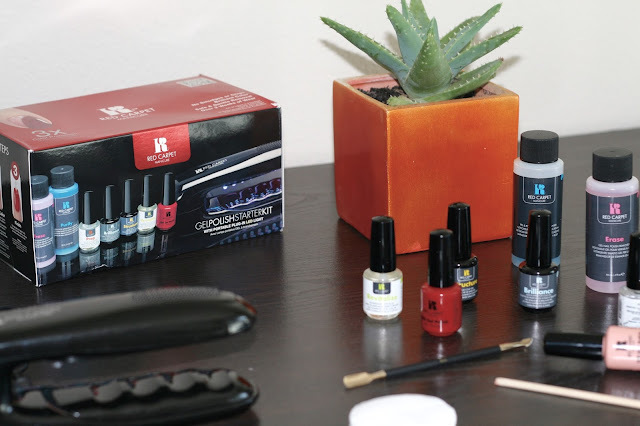 I have used the Red Carpet Manicure starter kit a fair few times now, the process is easy if a little lengthy so I would always set out an hour to complete. 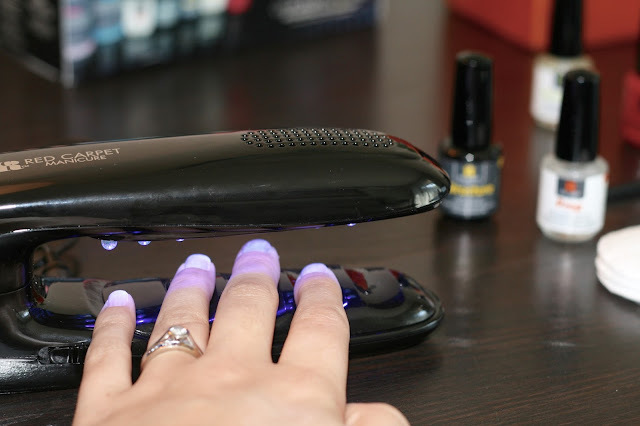 If you have ever had gel nails before then the process is exactly the same, after a layer of polish you have to cure them under the led lamp for a couple of minutes...easy peasy! I adore the starter kit, the lamp itself is small and easy to store away. 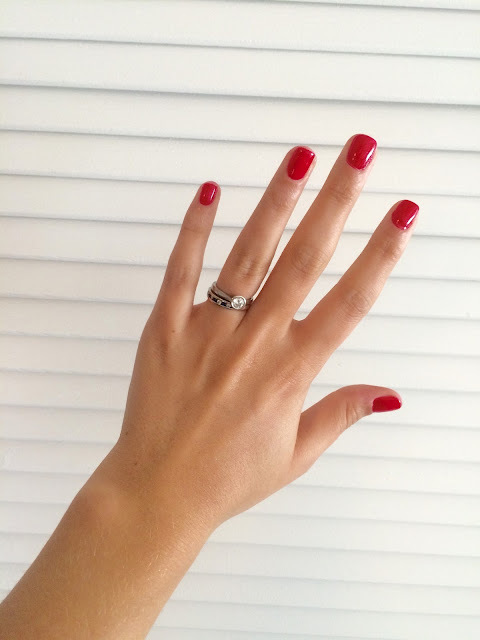 The kit comes with everything you need to get a perfect manicure including this lovely red polish. The manicure roughly lasts around two weeks which isn't too shabby! I have ordered a few more colours because a girl needs variety in her life.